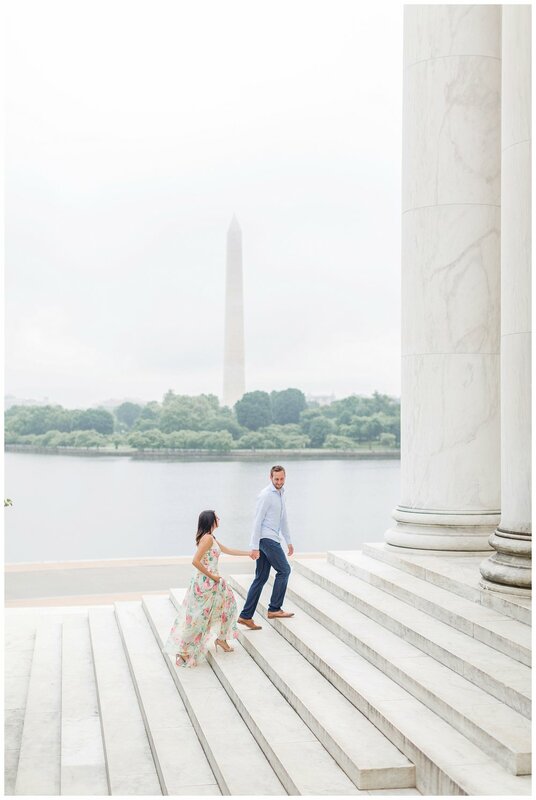 I will never stop thanking Pinterest for connecting me with Shannon and Ben. 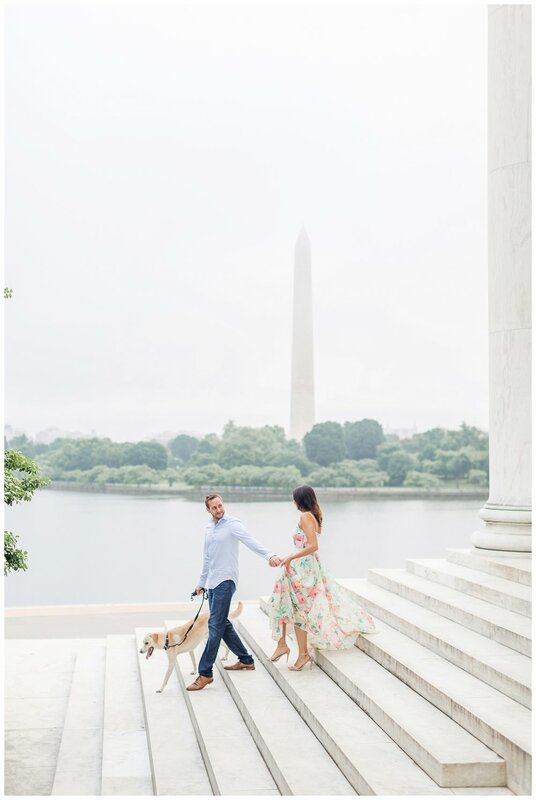 Shannon wanted some quintessential DC engagement photos and my goodness we got them! 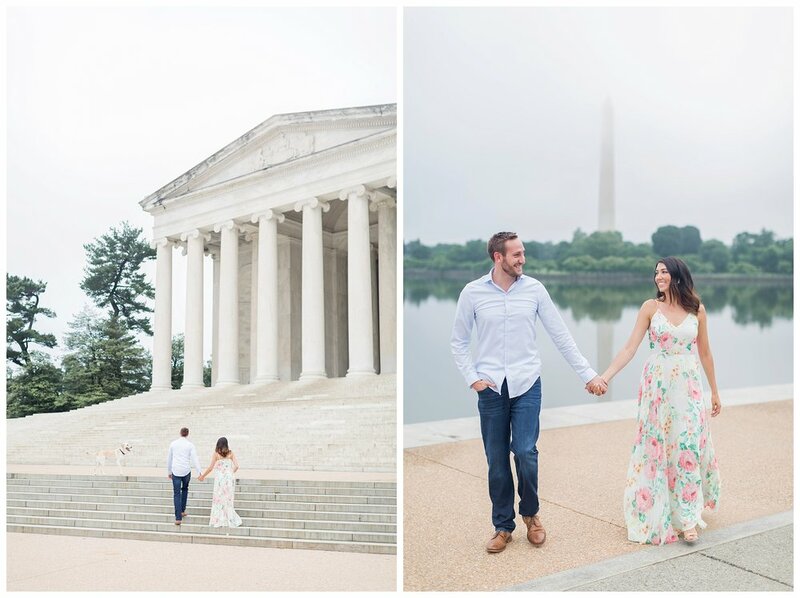 It was a little foggy at sunrise at the Jefferson Memorial but that didn't stop us from getting amazing images! Shannon is also my favorite because she read all of my blog posts! She wore a maxi dress AND brought her sister as a dog handler. Hello perfect client. 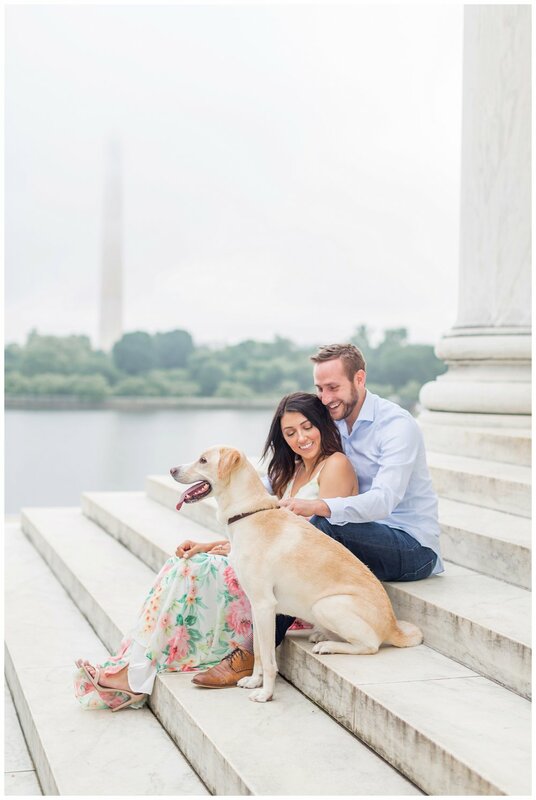 Shannon and Ben met through work in Texas and their lives brought them to the district together. 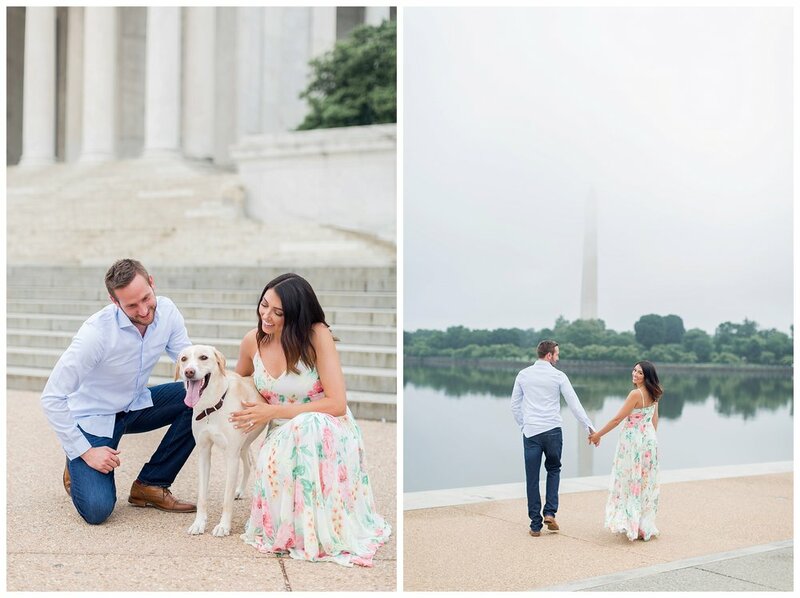 When it was time for Ben to propose, he asked her to dinner but had bigger plans! They headed to the airport for a last minute flight to Texas! 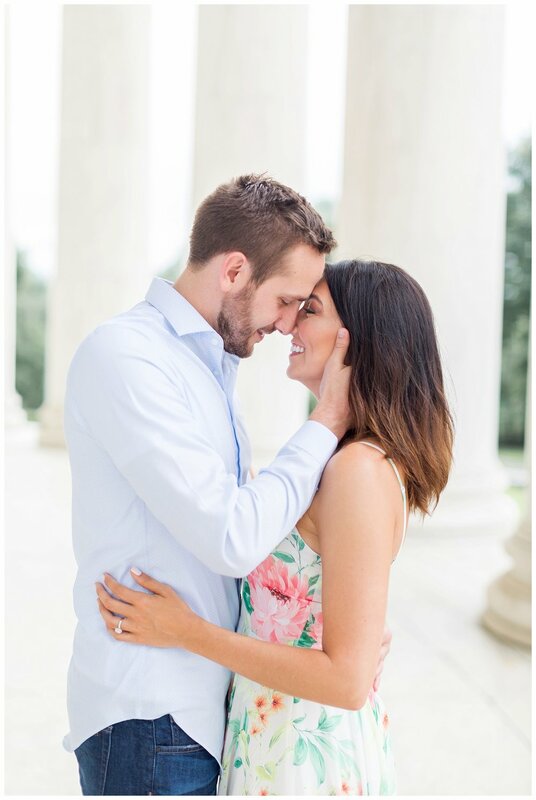 Once there, he proposed and they spent the weekend celebrating with friends and family!! I am waiting for the minute these two make solid wedding plans so I can see these darlings wedding look! Have you ever seen two more stunning humans!? Here are my favorite shots form the day!